UPDATE: It has now been reported that over 35,000 people have applied for the position according to ABC. However, the position will remain opened until the end of August, so get those resumes in! When a posting goes viral there can be all kinds of unexpected outcomes. Take the current situation for Joan Bowell. 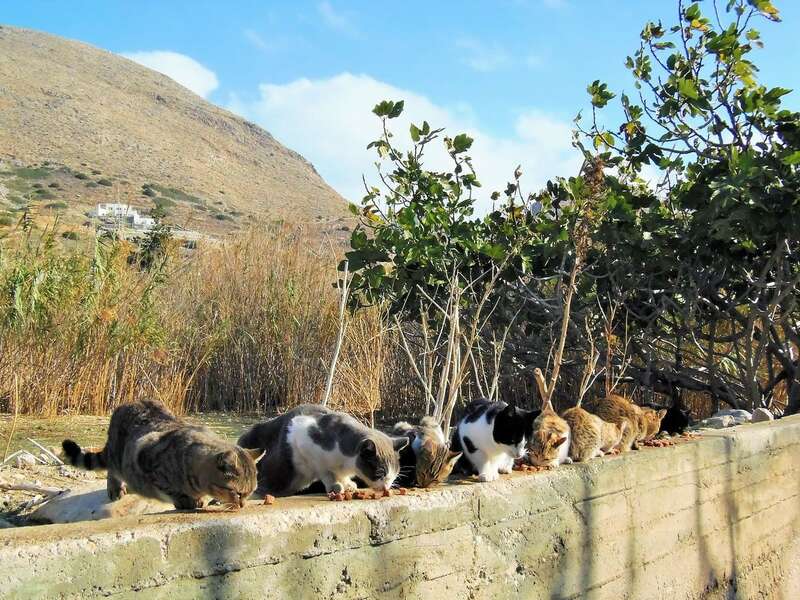 Joan posted on her Facebook page she was seeking someone to take over as caretaker for God’s Little People Cat Sanctuary on the island of Syros in Greece. Since her original posting she has received over 1,000 applications for the position. A very special position and living circumstance on offer on a little Greek island called Syros (a small paradise no less!) for a mature and genuinely passionate cat lover who knows how to handle many cats and would love their company!! 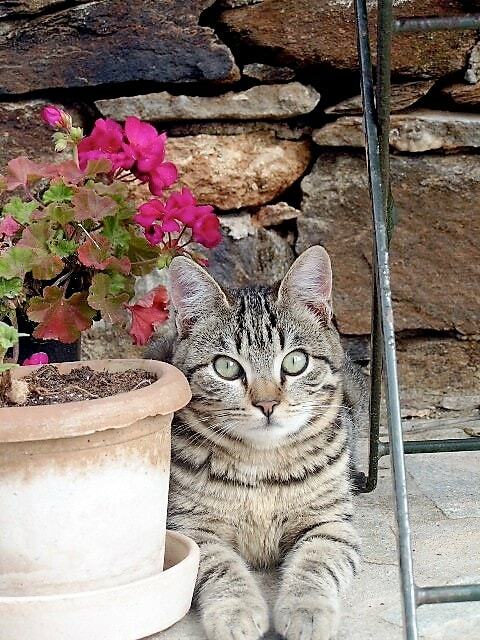 I am looking for someone who can take over the daily running of my Greek cat sanctuary in my absence. You will have 55 cats in your care and need to be able to overview them all + feed and medicate (big added bonus if you’re trained vet. nurse!). As part of the job you’ll have a fully paid (incl. water & electricity) semidetached modern tiny house with it’s own garden (direct view to the Aegean Sea!) plus a salary. The daily hours is that of a part time job (approx. 4 hours) and the salary reflects the fact that you get the house for free (with everything paid). All expenses for the cats will of course be paid incl. all veterinary care. You will be expected to take the cat to the vet in case of illness and therefore will need to be able to drive a manual car. We are located in a secluded nature preserved area which is very tranquil and quiet in winter time but busy during the summer. You’ll no doubt thrive best if you are the type of person who appreciates nature and likes tranquility – and rest comfortably in your own company. That said, you’ll never feel lonely in the company of the cats and you’ll be expected to live with a small handful of cats in your house. From experience the job is most suitable for someone 45+ years of age, who’s responsible, reliable, honest, practically inclined – and really, with a heart of gold! Apart from feeding the cats the cats will also need heaps of love and attention. You will at times be expected to trap or handle a feral or non-sociable cat, so knowing something about a cats psychology too is important + cat-whispering skills should come natural to you. When the Telegraph spoke to Joan’s husband, Richard about all that was transpiring, he remarked of some of the submissions began with openers like “I’ve always wanted to live on a Greek island,” those who boldly proclaim: “I am your person” and those who say: “What is behind this?” and want to know more about the sanctuary’s philosophy. 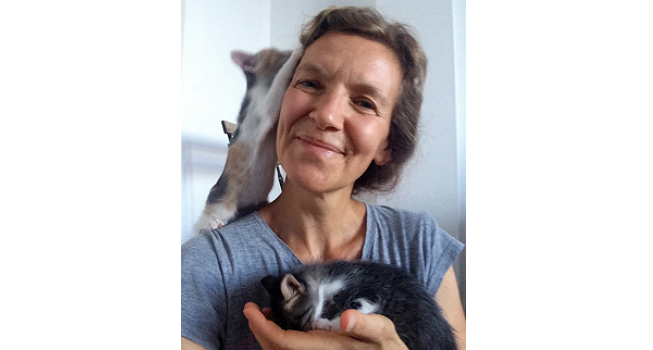 I’m originally from Denmark where I used to volunteer in one of the major Danish cat shelters. Then almost 7 years ago we decided to move to Greece for health reasons. For many years we’d found ourselves returning to the same largely unknown Greek island on our summer holidays and each time I found myself getting involved in feeding and caring for sick cats. 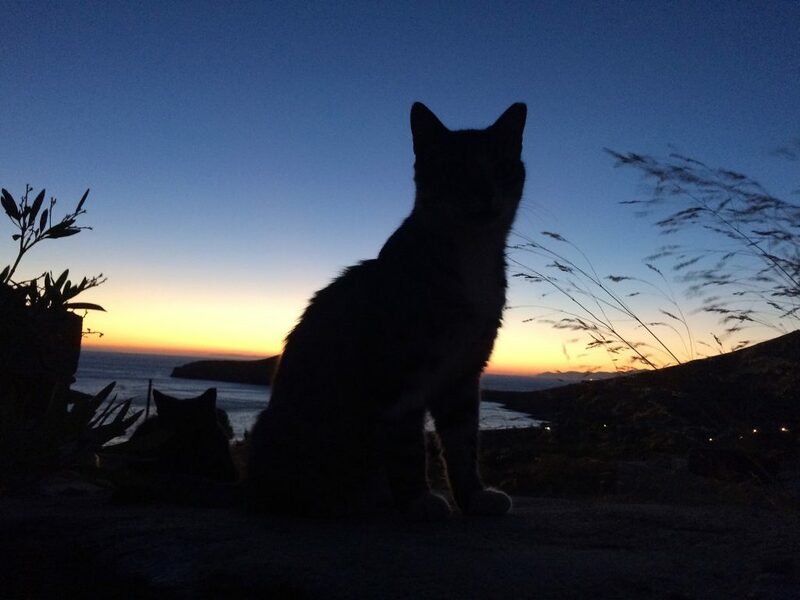 I’d come to learn that cats had a very tough time throughout Greece. They’re considered a pest like rodents and I’d heard countless stories about them being poisoned, burnt, thrown in the ocean, kicked – and both sick cats and newborn kittens are regularly thrown in the dumpster. Basically it’s a very ignorant culture with an old agricultural mentality when it comes to animals. So part of the reason for choosing to come here was that I knew I could serve some purpose with the unwanted cats. Things were only gradually beginning to move in a different direction with regards to cats and animal welfare and I knew I wanted to make a positive change. Still, my involvement in cat rescue rather ‘happened upon me’. Click here to read Joan’s full interview, as well the stories of Cookie and Chili, two of her amazing rescues. The position will begin on November, following a two-week voluntary transition. For all the overwhelming interest that has been created, it appears that God’s Little People Cat Sanctuary, and Joan’s legacy, will be in good hands.